Irresistable Duncan, just plain irresistable. You were clearly a precocious pup, mastering the old tilted head routine at an early age. Maybe we should start a Flashback Fridays Blog Hop. Wanta join me? Darn you were cute Duncan. Have a fabulous Friday. Duncan, pop on over to my bloggie and join my hop! I just set it up. You were/are sooooooooooooooo cute. DUNCAN that is the cutest picture we have ever seen of you. Man, who is that cutie little guy, were you a mischief then as you are now! Heeheehee, we bet so! Awwwwwwwwwwwwwwwwww - you were such a cute puppy, Duncan! OMD! Duncan, you were just the cutest little thing!!! 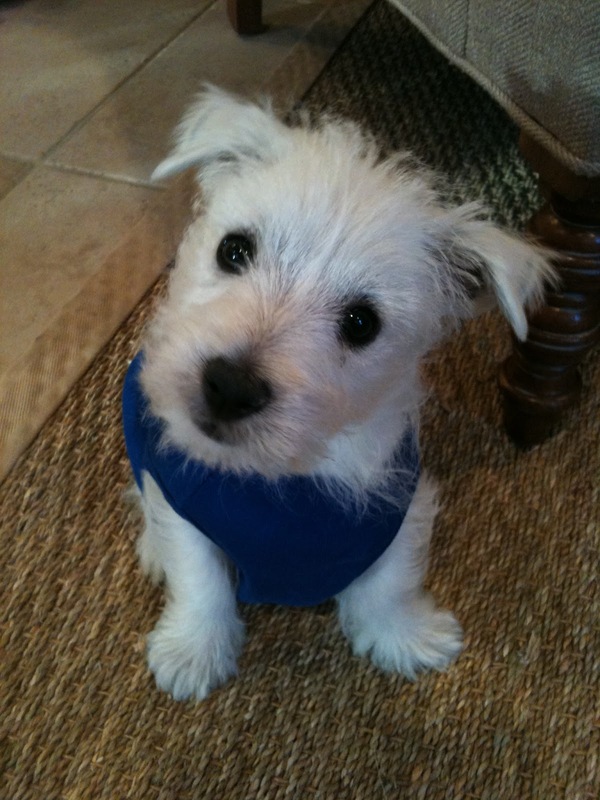 Duncan, what a cute wee thing you were! I just want to scoop you up and cuddle you! Well aren't you just the cutest thing!!!! What a cutie! Blue is definitely your color!